Looking "where to sell my Fiat 130?" Ask the Chicago Car Club! Are you wondering "where to sell my Fiat 130 ?" The Chicago Car Club is interested in classic cars of all makes and models, especially a Fiat 130. We make the process of selling your Fiat 130 quick and painless. In just a matter of hours we will have your classic valued and, if you do so choose, turned into money in your pocket. All it takes is a phone call or electronic inquiry to get the ball rolling. 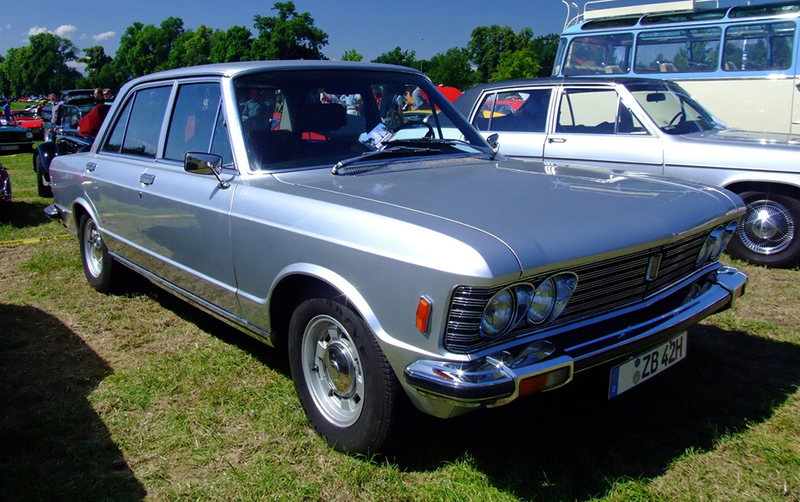 The 130 was a full-sized executive car by Italian car manufacturer Fiat, made between the years of 1971 and 1977. The Fiat 130 was produced in 4-door saloon and a 2-door coupé versions. The 4 door saloon was first introduced at the Geneva Motor Show in 1969. It had many modern features such as standard power steering, disc brakes, an alternator (as opposed to a direct-current generator,) power steering and four-wheel independent suspension. It replaced the formerly largest Fiat, the 2300 model. Production of the saloon lasted until 1976, with a total of 15,093 made. The coupe lasted another year, until 1977, with a total of 4,294 produced. A new cross flow V6 engine, with a 60° vee angle and rubber-toothed-belt driven twin overhead camshafts, called the 128 type A was used. It became known as the 130 type engine. The engine had a displacement of 2,866 cc that could produce a powerful 140 bhp (104 kW; 142 PS) at 5,600 rpm. In 1971, the engine was updated and became a 3,235 cc and making a 165 bhp. The 130 had elegant styling and was thought of as a dignified Italian executive car with comfort for a comfortable ride, even on long trips. The seats and consoles were designed by Paolo Martin and Giovanni Gottin. Adjustable seats, attractive dials and buttons graced the interior. One model even had a push button for the driver to open the passenger door. The 130 did get a degree of criticism from reviewers of the day. They described the engine as noisy and and expensive to use, because of poor fuel consumption. They also said that the brakes were soft. Despite its flaws, they said that the comfort and cornering were second to none in its class of vehicle.